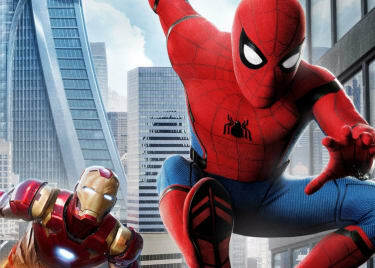 `Your friendly neighborhood Spider-Man is swinging into new cities this year! The SPIDER-MAN: HOMECOMING sequel will take Tom Holland’s web-slinger to London and Europe. 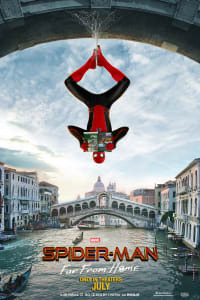 The new film, SPIDER-MAN: FAR FROM HOME, features new suits, new enemies and a mysterious character played by none other than Jake Gyllenhaal. Here’s everything we know about SPIDER-MAN: FAR FROM HOME. SPIDER-MAN: FAR FROM HOME opens on July 5. By that point, we’ll have seen both CAPTAIN MARVEL (coming in March) and AVENGERS: ENDGAME, which hits theatres in late April. Spider-Man currently has that holiday weekend all to himself, though films like TOY STORY 4 and GRUDGE will still be in theatres. After a long wait, the first trailer has finally arrived! 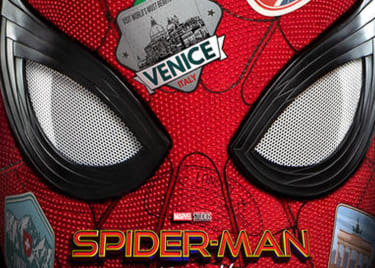 The first SPIDER-MAN: FAR FROM HOME trailer sets up several big parts of the movie. We could tell you how it all goes down, or you could just watch it via the embed above. 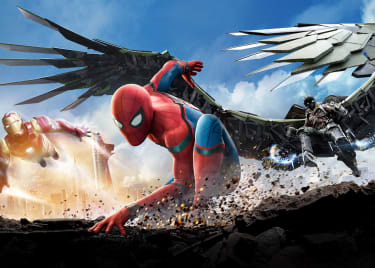 The first FAR FROM HOME trailer shows Spidey fighting a set of foes called the Elementals. There’s a giant man-shaped creature who seems to be made of earth (but probably isn’t Spider-Man villain Sandman) and ones made of fire and water. The water Elemental could be Hydro-Man, a Spider-Man villain who first appeared in the comic “Amazing Spider-Man” #212, published in 1981. There’s even a suggestion of that connection in the trailer! At one point, the camera pans by a boat with the identification ASM 212, which is about as pointed a clue as the filmmakers could create without actually naming the character in the trailer. Still, the Elementals are mostly a mystery. Why are they attacking? What does Nick Fury know about them? Do they have a big plan? The real SPIDER-MAN: FAR FROM HOME mystery is in the main villain, who doesn’t even look like a bad guy in the first trailer. Jake Gyllenhaal plays a character called Mysterio in the comics — real name, Quentin Beck. In the comics, Mysterio was one of Spidey’s first foes. He was a special effects guy who went from working on movies to using effects techniques to emulate Spider-Man’s powers as he committed robberies in Manhattan. In the FAR FROM HOME trailer, Mysterio (wearing an amazingly comics-accurate costume, fishbowl helmet and all!) looks like he’s on the side of the good guys. Some interviews with Gyllenhaal suggest that his character teams up with Spider-Man in the movie. But given Mysterio’s origin, we still have to wonder. Is it all an act? Are the Elementals actually his creation? We don’t know yet, but we’re on guard with respect to this guy. How Many New Spider-Suits Are in Far From Home? At least two! Every new SPIDER-MAN movie appearance is a chance to refine and experiment with his costume, and this movie is no different. The main Spidey suit seen in the FAR FROM HOME trailer is an evolution from the one we saw in HOMECOMING and very different from the Tony Stark-augmented suit in INFINITY WAR. The blue in this suit is darker than in HOMECOMING, and the back of the suit is decorated by a white spider logo. In fact, the Spidey suit seen in action later in the FAR FROM HOME trailer isn’t even the same one he wears at the charity event in the trailer’s opening and when he’s in the boat with Nick Fury. Conclusion: Fury gives Peter Parker an upgrade — or make that two upgrades. There’s also the all-black “stealth” suit (which looks a lot like Nicolas Cage’s Spider-Man Noir character in INTO THE SPIDER-VERSE!). Peter probably doesn’t have time to create that stealth gear while on vacation, so we’re betting both suits are gifts from Nick Fury. In FAR FROM HOME, we might see Mary Jane and Peter getting closer. There’s a lot of flirting and the hint of a future for the two. OK, so with all of that said, here’s what we’ve put together for the FAR FROM HOME story so far. Aunt May has embraced Peter’s role as Spider-Man and is even guiding him to do some good that doesn’t involve punching — as seen in his appearance at a charity event for the homeless. Peter goes on a class trip abroad, but that jaunt is interrupted by Nick Fury. We don’t know precisely why Fury steps in. Is it the threat of the Elementals, who we see attacking? Fury and someone who might be Maria Hill are seen firing on the earth Elemental in one trailer shot. Or do they know something about Mysterio, who appears to battle the giant creatures? Does the Spider-Man Sequel Take Place Before or After Endgame? Good question! Comments made by Marvel Studios president Kevin Feige in the past year suggest FAR FROM HOME takes place after ENDGAME. But at this point, we don’t really know for certain. The trailer even teases that question, when it shows a close-up of Peter Parker’s passport. Most passports show issue and expiry dates with years attached — but the years are not shown here. We’ve covered a lot of the SPIDER-MAN: FAR FROM HOME cast above, but let’s wrap this up by running through the players. Zendaya also returns as Mary Jane, a classmate of Peter Parker who seems to be developing a crush on him. The attraction is mutual. Jacob Batalon is back to play Peter Parker’s best friend, Ned, who knows about Peter’s superhero alter ego. Characters played by Tony Revolori and Angourie Rice, Flash Thompson and Betty Brant, don’t know Peter is Spidey, but learning the truth would certainly blow Flash’s mind. Samuel L. Jackson and Cobie Smulders turn up as former S.H.I.E.L.D. director Nick Fury and his working partner, Maria Hill. And while we might not see Tony Stark, Jon Favreau returns as Stark’s right-hand man as Harold “Happy” Hogan. Based on the trailer, he’s happy to see Marisa Tomei, playing Peter’s aunt, May Parker. And Jake Gyllenhaal plays Mysterio, a maybe-villain, maybe-ally who really lives up to his name! We don’t know much at all about the guy, but his powers sure do seem cool — if they’re not all illusions. Also in the cast are Martin Starr as Peter’s teacher, Mr. Harrington; Michael Keaton as Adrian Toomes, aka Vulture; Hemky Madera as bodega owner Mr. Delmar; and J.B. Smoove, Numan Acar, Oli Hill, Remy Hii and Zach Barack. SPIDER-MAN: FAR FROM HOME opens on July 5. Check back with the AMC Scene for more updates!